An interview with V. Stuart Couch conducted May 12, 2011 by Myron Farber for the Columbia Center for Oral History, Rule of Law Oral History Project. Stuart Couch is a retired Lieutenant Colonel in the United States Marine Corps. As a military commissions prosecutor of Guantánamo Bay detainees, Col. Couch was assigned to the case of Mohamedou Ould Slahi, a detainee from Mauritania who has been held in Guantánamo since 2002. Col. Couch withdrew from the prosecution because he believed the interrogation methods used on Slahi to be in violation of U.S. and international law. 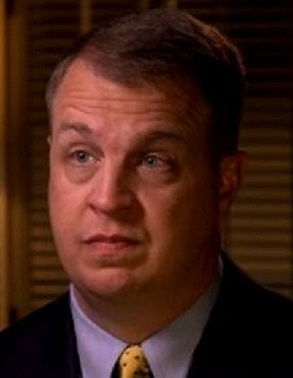 Highlights of this interview include Col. Couch’s personal experience on September 11, interrogation techniques at Guantánamo Bay, rumors of CIA black sites, the Geneva Conventions and the Uniform Code of Military Justice, and his experience in the prosecution of Mohamedou Ould Slahi and its aftermath.